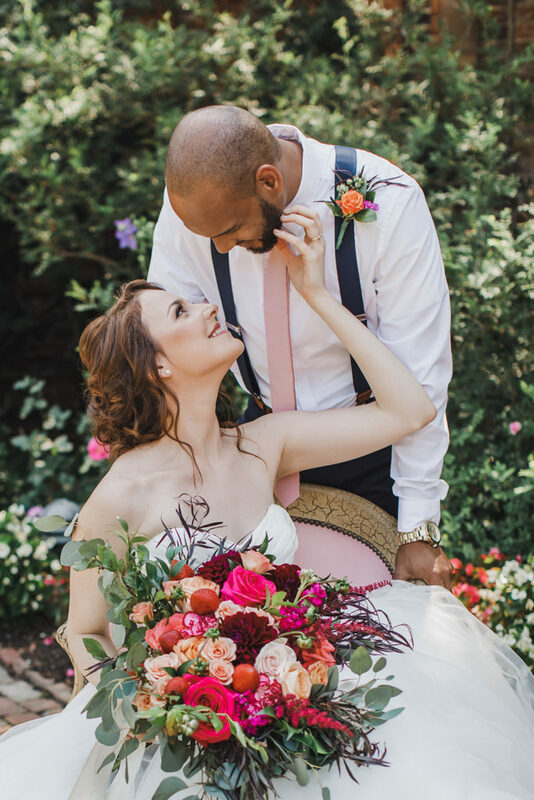 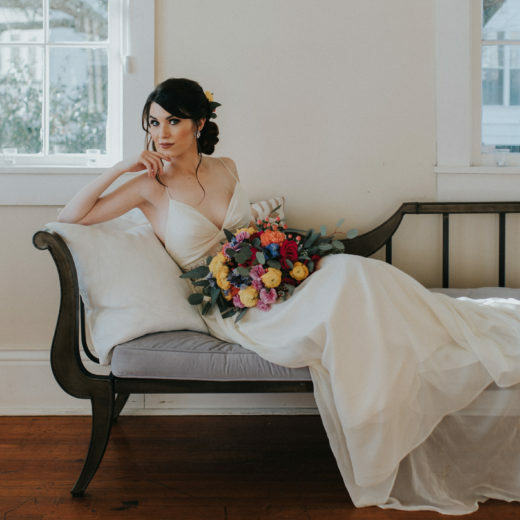 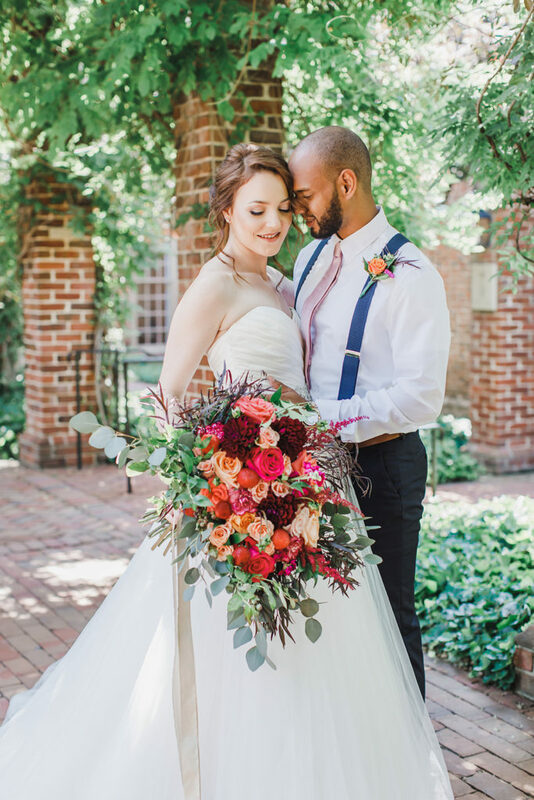 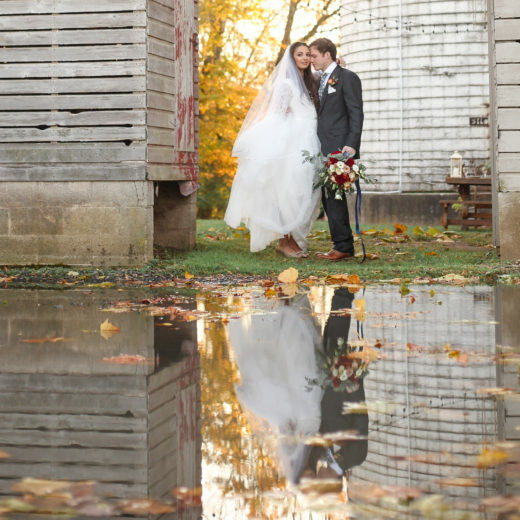 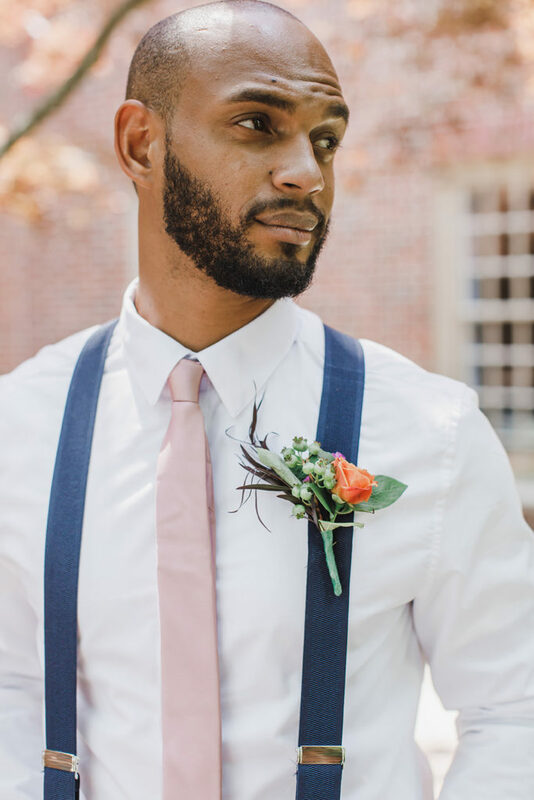 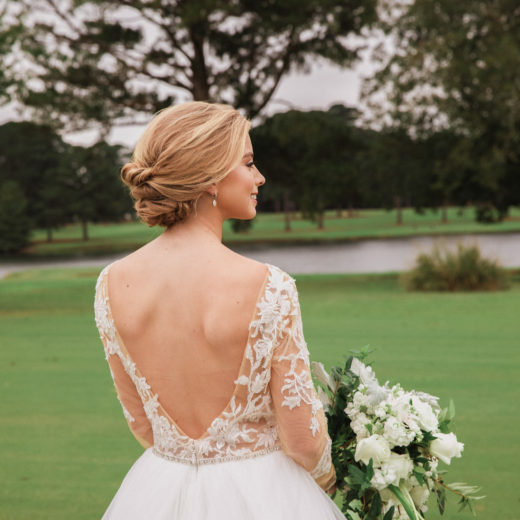 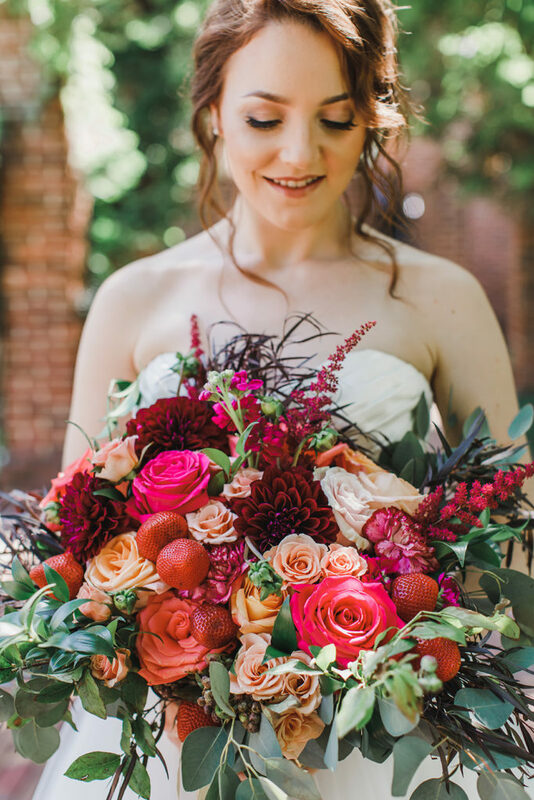 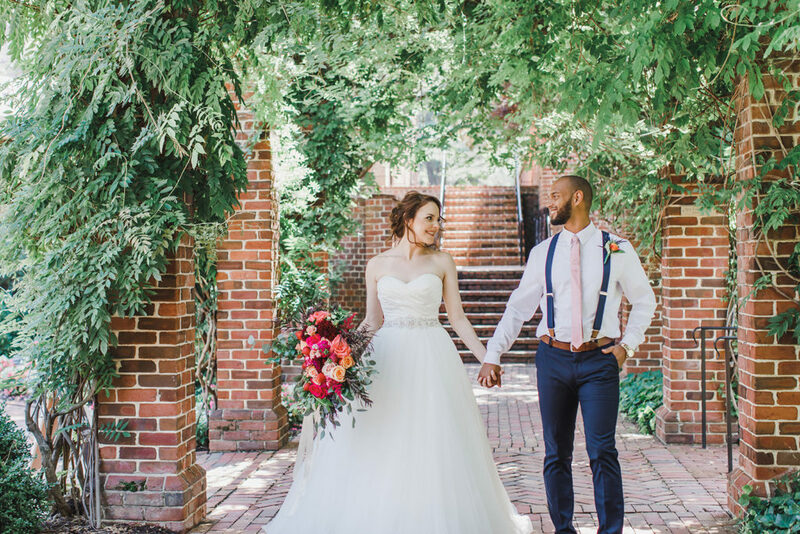 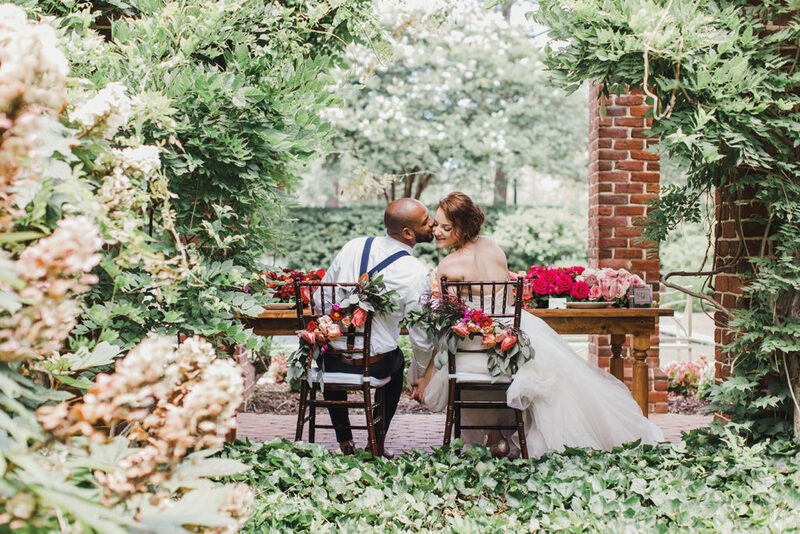 The grounds of Colonial Williamsburg were the perfect backdrop for the colorful and romantic, garden wedding styled shoot created by a talented group of Virginia wedding pros. 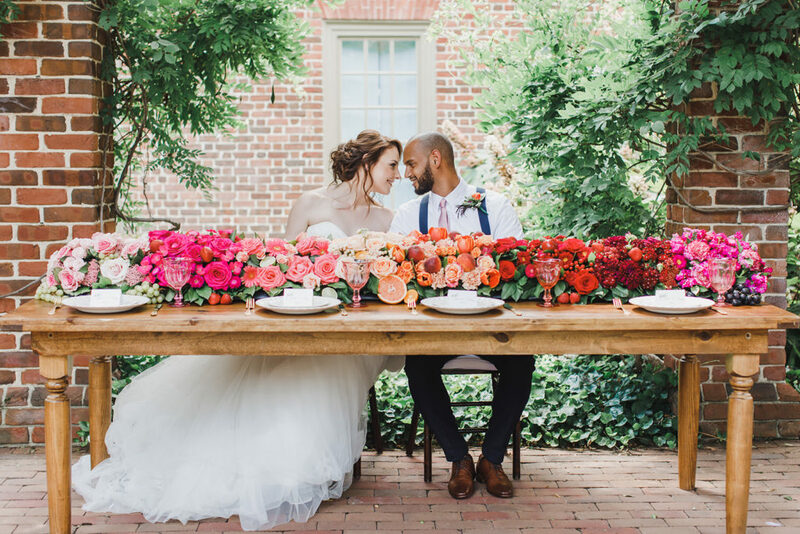 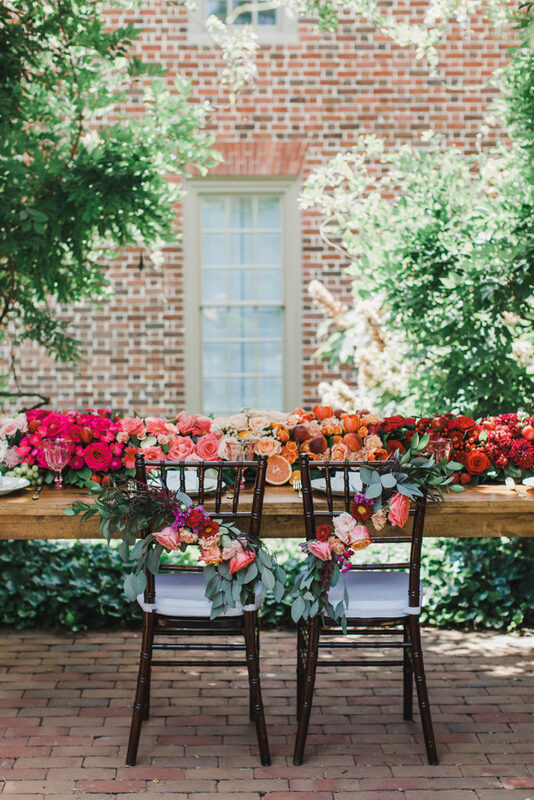 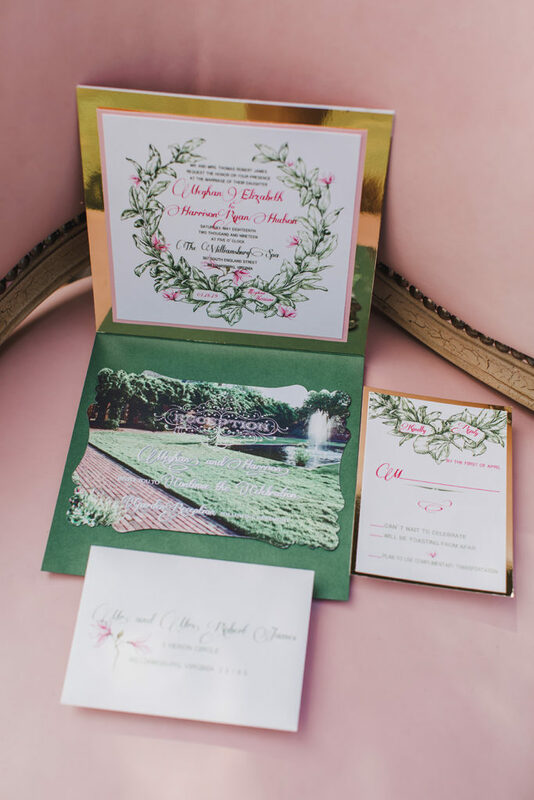 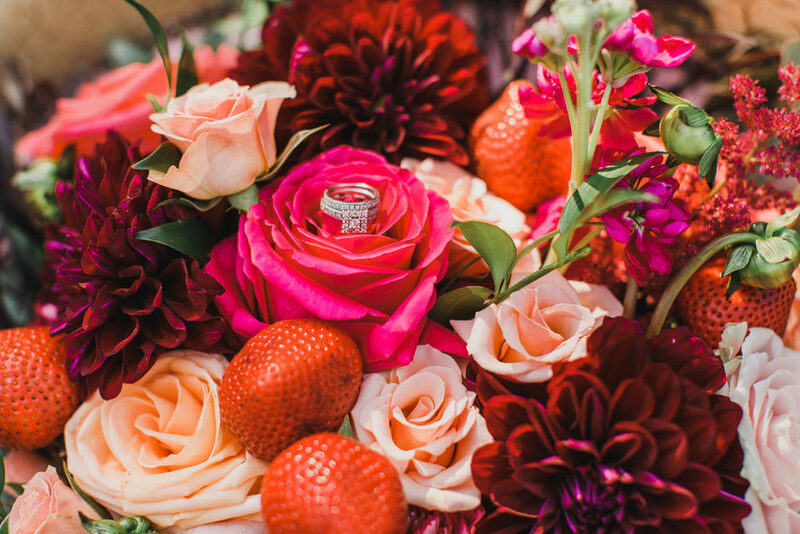 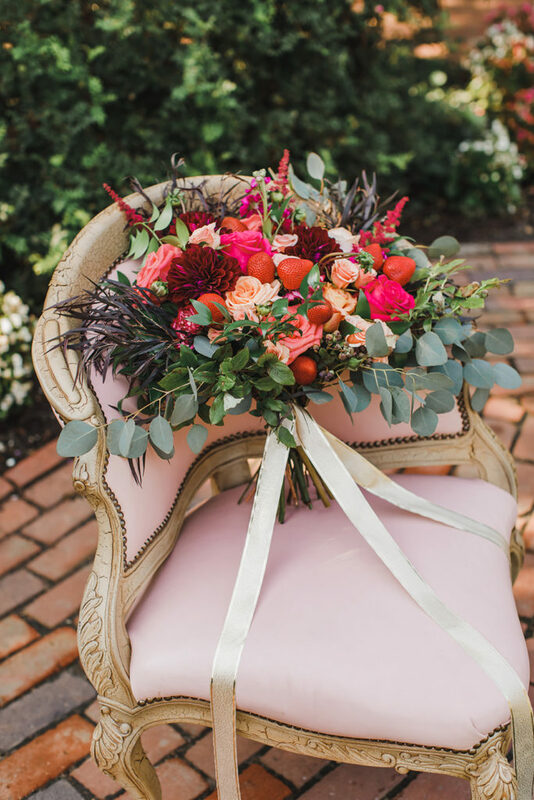 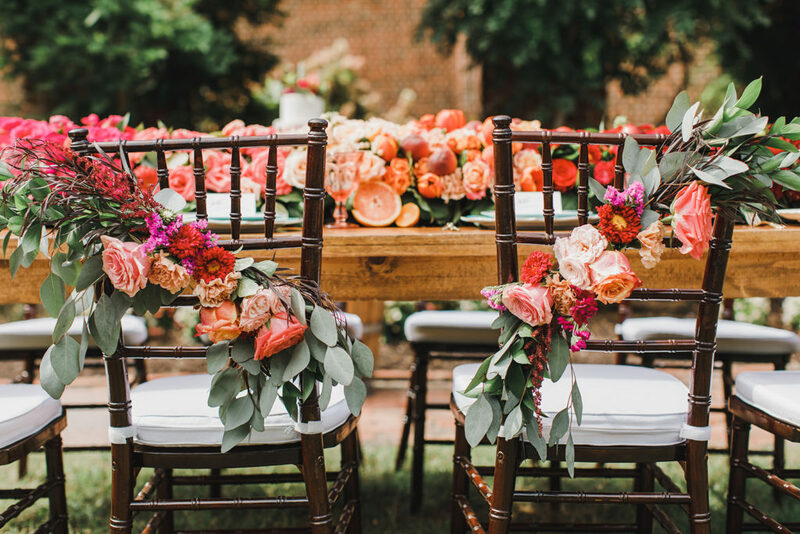 The team selected a spectacular palette of tones from the softest blush to a bright fuchsia pink and sweet peach to deep orange for their romantic garden wedding event. 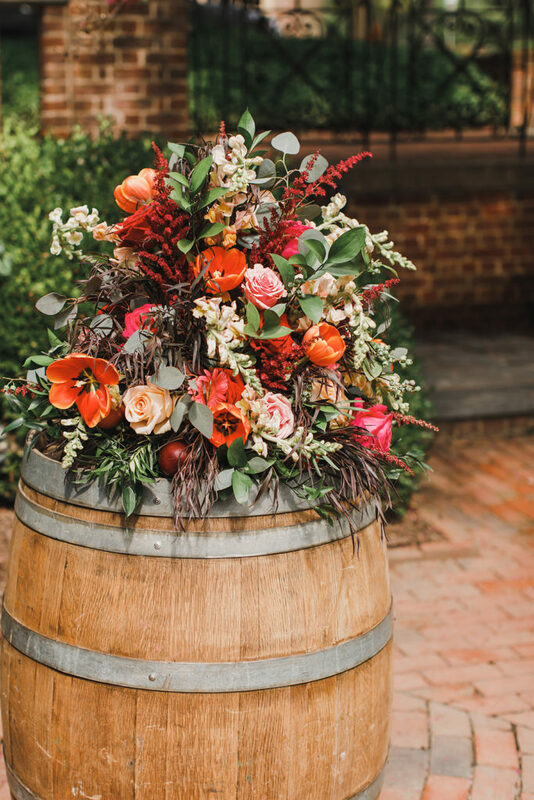 While the use of seasonal fruits and berries in the details suggests summer, the palette could easily be transitioned to fall by adding some fall florals in rust and a few strategically placed gourds. 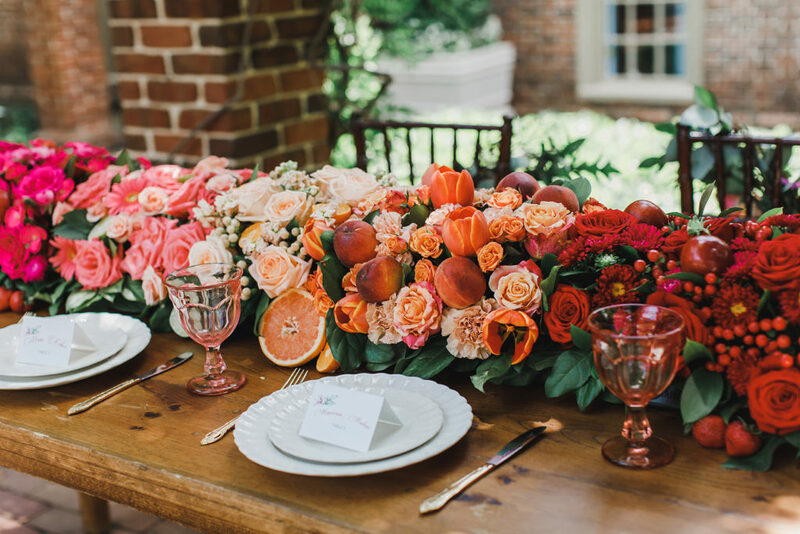 The opulent bouquet was mirrored in the sweetheart table runner created with color blocked roses accented by fresh citrus fruits, apples and berries. 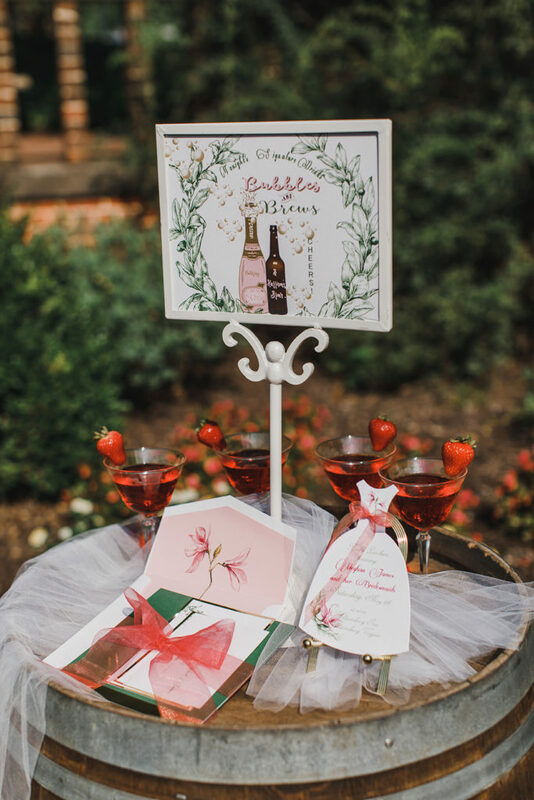 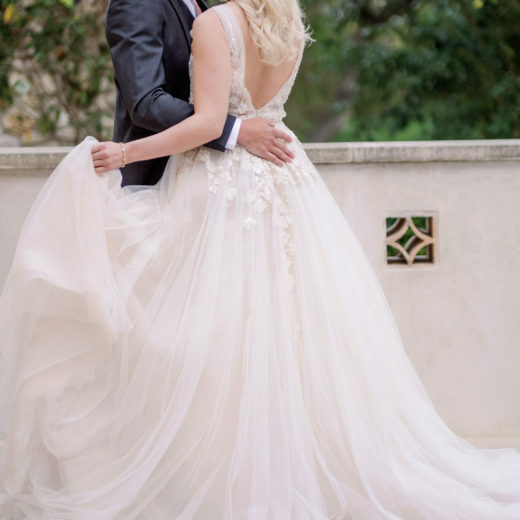 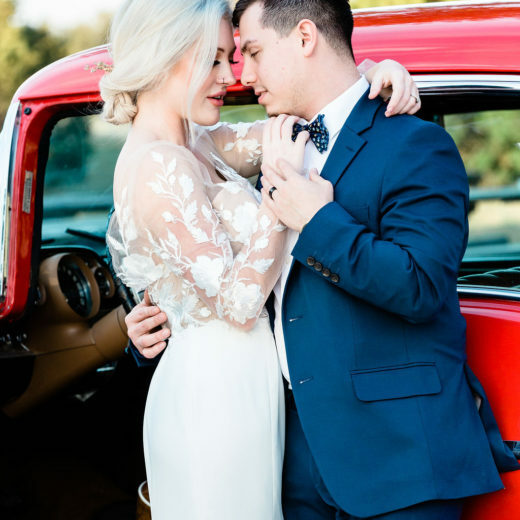 The strawberry flavored champagne cocktail was a sweet touch, and the real life couple who modeled for the styled shoot certainly turned up the romance factor in this lovely design.